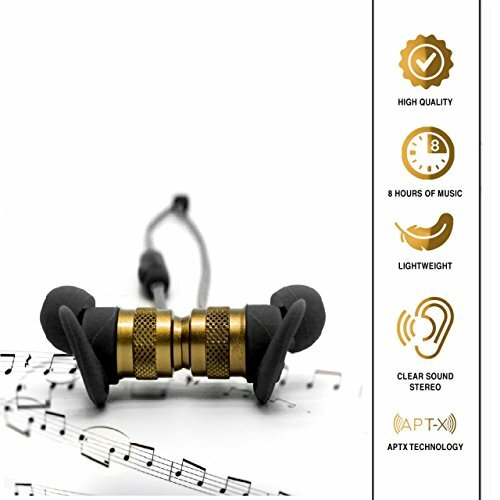 Take Listening To Music To A Whole Other Level With The Most Reliable Bluetooth Earbuds! Music Enthusiasts Wait No More! ...are sick and tired of tangled up cords. ... want to listen to all your favorite songs on the go. ... are looking for the ultimate running companion. ... love music but do not want to compromise on sound quality. Whether you relate to all of the above or just need the coolest Bluetooth headphones on the market, these Pillarson wireless earbuds are the way to go! The Future Of Bluetooth Cordless Earphones Is In Your Hands! Can You Handle It? If you are a two bird, one stone kind of person, then these wireless earbuds shouldn't be missing from your gadget arsenal. Boasting high quality music bass, crystal clear stereo sounds, premium noise isolation technology & great battery life, our wireless earbuds will never let you down. These Bluetooth wireless headphones are compact, lightweight, portable and truly wireless. Perfect for sweaty gym workouts, sports, running, jogging, traveling, commuting to work & more. Ideal for women, men, teens, athletes and music fans! · ...can survive even the most strenuous workouts. · ...are truly noise cancelling and sweatproof. · ...have a long-lasting battery. More music means more fun. · ...connect on the spot. No skipping beats. No missed phone calls. · ...are modern, magnetic, sleek and discreet. · ...have great sound quality and clarity! If you have any questions about this product by Pillarson, contact us by completing and submitting the form below. If you are looking for a specif part number, please include it with your message.